We ought to engage candidates on the cardinal issues when we have the opportunity to do so, and not spend the whole time debating their standing as individuals and candidates. 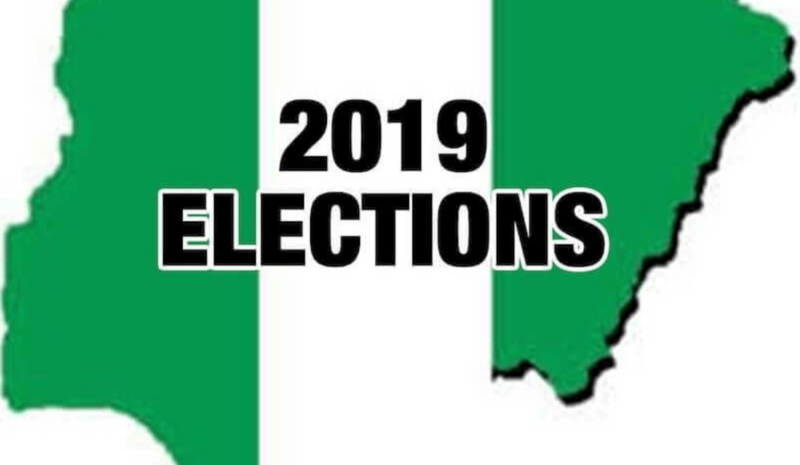 Nigeria is heading into general elections in a few months’ time and political posturing has begun for the race ahead. Most of the states of the federation will also be choosing their governors and federal legislators in 2019. While there has been enough discourse about political parties and their geo-political formations, one fears that not enough attention is being paid to the actual issues that should be driving debate in the election season. President Muhammadu Buhari of the All Progressives Congress (APC) and former Vice President Atiku Abubakar of the Peoples Democratic Party (PDP) are the main contenders in the coming election. The president is seen as a tough anti-corruption crusader, and many of his administration’s policies and activities have mirrored this perception. However, members of the opposition have alleged that his crusade is lopsided. On the other hand, Atiku is running on the promise of a better economy, leveraging on his substantial investments in the country and his business know-how. The major areas of importance in a civilised democracy are education, healthcare, security, and the economy. Many areas of concern are directly or indirectly tied to these, which underscore the importance of getting the right policies in place to positively impact these aspects of the nation’s existence. The power problem in Nigeria, for instance, affects all these four sectors and, conversely, progress in the power sector is directly affected by the decline or otherwise in at least two of them. Even our ethnic and tribal fixation in this country may contribute more to insecurity and a weak economy, for instance, than we may all realise. For our intending leaders to be fit to lead Nigeria out of the rot of past years, they need to be able to make the link between our current problems and these issues, with a clear path on how to free us of our disgraceful burden. It is not unimportant that an aspirant needs to have the required qualifications stipulated by law before s/he can contest an election. It is not unimportant that an aspirant ought to be of unimpeachable character, with a good and clear record of dealings, especially in relation to past public service. More important, though, are the ideas they propose for taking the country forward. We ought to engage candidates on the cardinal issues when we have the opportunity to do so, and not spend the whole time debating their standing as individuals and candidates. In the education sector, there is clearly a lot to be done. State governments have more to do in terms of providing basic education in every state. With recent revelations showing that many states have not been accessing funds provided through the federally funded Universal Basic Education Commission (UBEC), the priority placed on education in the country becomes clear. There is absolutely no reason for a state government to leave those funds unattended to. True, the funds require counterpart funding to be released, but the need for educating Nigerians should be at the top of the priority list for state and federal governments, especially given the literacy levels and quality of education in the country. The most difficult area to manage of all the major sectors that have been outlined here is the economy. Whereas adequate funding and proper management of resources…are bound to lead to noticeable improvements in the medium to long term, the economy is subject to other influences which may not be controllable by the government. Healthcare in the country also leaves a lot to be desired. Recently in the news, the National Health Insurance Scheme (NHIS) has been very popular because of tensions between the executive secretary and the board of the agency, which led to the suspension of the former. Meanwhile, critical infrastructure is still lacking in state and federal health establishments and the poorest members of our society struggle for any access to healthcare at all. The solutions to these problems should be of paramount interest to voters, instead of the controversy on what region of the country Candidate Atiku decided to pick his running mate from or whose permission he sought to make his decision. The question of security is particularly perplexing. It is a problem that has outlived many administrations, across party lines, since the return to democratic rule. The army is basically policing the country in many regions, and this did not begin in the Buhari administration. Security in this country has been tenuous at best for far too long, with ethno-religious tensions fanning the flames of insecurity in the most volatile parts of the country. Until community leaders and others start to see how ethno-religious tension affects security and the local economy, they may continue to embark on peace brokering missions that only serve as unsustainable band aids in the long run. It takes the eloquence and sincerity of a good politician to outline the connection between the tension, security and economic development. It also takes ingenuity to find a lasting solution to address the issues. What are our candidates saying about security, beyond making empty promises? The most difficult area to manage of all the major sectors that have been outlined here is the economy. Whereas adequate funding and proper management of resources in the education, healthcare and security sectors are bound to lead to noticeable improvements in the medium to long term, the economy is subject to other influences which may not be controllable by the government. Still, where the economy of a country is well grounded, it may be able to withstand some of the shocks that have sent us into recession in the past. A mature economy is supported by strength in every sector. Any candidate who promises a strong economy without a good plan for power, diversification and improving essential services is not ready for the task ahead. Our economy is referred to as the largest in Africa, mainly on the basis of the size of the market and theoretical indices that do not really reflect the situation on the ground. The value of the naira is a lasting reminder of where we truly are in relation to many of our neighbours. Driving exports further and attracting more investment is achievable when the country is at peace and its people comfortable. Nigerians have been very vocal about the power problem, as it is impossible to ignore in our everyday life. Engaging candidates on the plan for more coverage and better supply nationwide is paramount. Another issue that has generated public debate is the issue of restructuring. On this issue, there is no guarantee that the clamouring is coming from an informed position on the part of the people and even on the part of some politicians. In most cases, the restructuring campaign stems from ethnic motivations, which makes it a dangerous subject. The incessant security challenges and the inadequacies of a centrally controlled police force may, for instance, present a good case for reform of the police structure, by giving states the control of their own security. This presents potential problems of its own, but that is why we need to engage sound and informed candidates about their thoughts on the issue. Many arguments for the geo-political restructuring of the country may lead to even more conflict if not reasoned out properly. As in every case, the position of the incumbent is most vulnerable, because the opposition has a wealth of very current data on performance of the incumbent to criticise and evaluate, but always with the suggestion that the opposition can do better. The onus is not only on candidates to present their position and plans concerning pressing issues, but the people also have the responsibility of balancing the different viewpoints and strategies, taking into cognisance the capacity of the candidates as members of the current administration or the opposition. In a recent televised exchange aired on Channels Television between Festus Keyamo and Segun Sowunmi, spokesmen for the two main political parties and candidates, both men did a shoddy job of presenting their party’s plans for tackling the various issues posed. The debate, or interview, escalated into a shouting match, with name calling and blame trading. That exchange is representative of the attitude of many of the political parties and their candidates, and one hopes that we hear more about plans and solutions in future interviews or debates.